“In a world where everything feels like it is moving at the speed of light, slowing down and watching an elephant in its natural habitat is calming and shows us the importance of paying attention to the natural world." 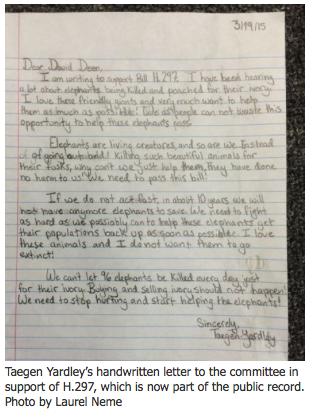 That opinion came from 12-year-old Taegen Yardley, a sixth grader at Endeavour Middle School in Shelburne, Vermont, on April 8 when she testified before Vermont’s House Committee on Fish, Wildlife and Water Resources in support of a proposed state ban on ivory and rhino horn sales (H.297). Twenty of her classmates filled the ornate room to listen and show support. As I gazed around the room, I could almost see her words lift and empower both the legislators and the public audience. Members of the committee nodded in agreement. What World Will We Leave Our Children? As much as the hearing was about H.297, it was also about the world we’re going to leave our children. And it was about speaking up when you care about an issue. 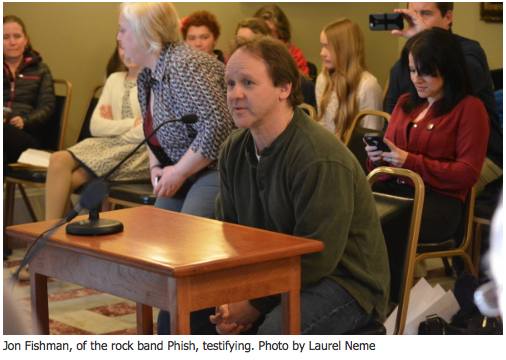 That day, Jon Fishman, drummer for the rock band Phish, became the first well-known musician to testify at a state hearing to restrict ivory sales. He did so in part at the urging of his children, who go to school with Yardley and share her passion, and in part to set an example for them. Phish members have generally steered clear of political and social activism at their concerts, but the Vermont committee room was an appropriate place to use his status as a celebrity. 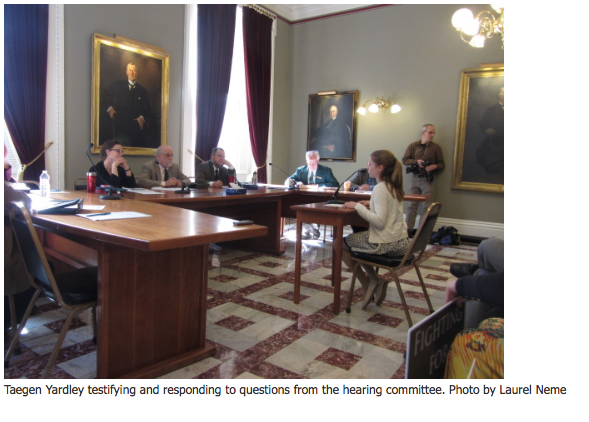 The Vermont bill was spearheaded by Ashley McAvey, a mother of two young children who, in her minimal spare time, educated and lobbied legislators about the need for a state ban. 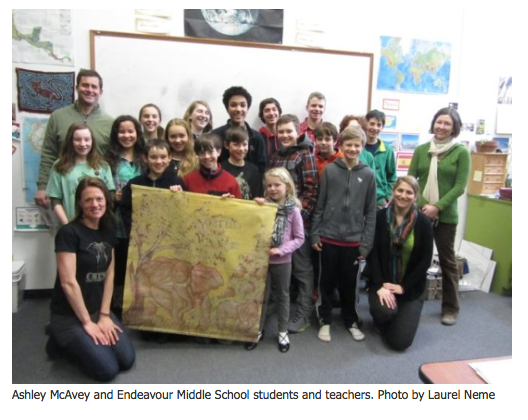 For McAvey, it started when her Yale alumni magazine showcased a rhino horn libation cup at the Peabody Museum. 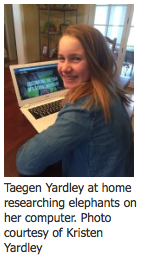 “I thought there was going to be a caption saying rhinos are terribly endangered, but there was nothing,” she explained. In McAvey’s view, that response was emblematic of the problem. 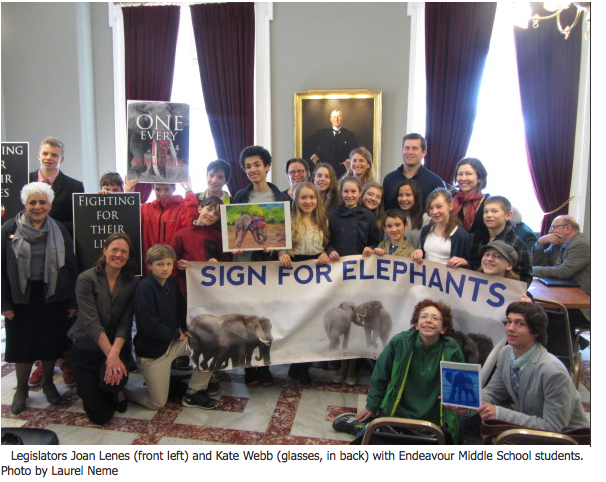 The continued celebration of ivory and rhino horn perpetuated demand…and poaching. When a person speaks out, they influence those around them. I too am learning from the example set by Yardley, Fishman and McAvey. They’ve shown me that big or small, famous or not, everybody can be a voice for change. Dr. Laurel Neme is the author of ANIMAL INVESTIGATORS and ORANGUTAN HOUDINI. Follow her on Twitter @LaurelNeme.